When someone mentions Los Angeles, the first thing that comes to mind is hot weather and Hollywood. 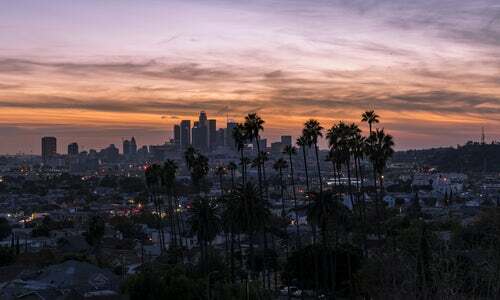 Los Angeles might be the destination of your dreams and a place where you want to spend some part of your life or even to live there permanently. However, if you are coming from abroad, there are a number of things you have to take into account. It is not the same when an American citizen decides to relocate or when a foreigner wants to take a leap across the Pond. The second implies more paperwork and a bigger challenge but that does not need to discourage you. Los Angeles certainly has many advantages and of course, some disadvantages, so be prepared. If you are certain that you are ready to make this life-altering move, here is a guide for you to make moving to Los Angeles from abroad less stressful. There is no doubt that you have done your research, but here is a quick short introduction to Los Angeles to refresh your memory. Los Angeles is the second biggest city in the United States after New York with 13 million people. It is also known as the “City of Angles” party due to Spanish meaning of the name. It is located in a large basin, surrounded by the Pacific Ocean at one side and mountains at the other. Los Angeles offers hot weather, the entertainment industry, and ethnic diversity. Los Angeles has one the most diverse population in the United States as many people across the globe wish to come to the City of Angels to try their luck. Almost half of the people there are of Hispanic ethnicity followed closely by White, Asian and African American. More than 37 % of people come from abroad so you will definitely fit right in. Because of such diversity, there are many different cuisines to try if you have not had a chance before or even taking a stroll through Korea town, Chinatown or through areas like Little Ethiopia. You will surely find your fellow citizen so you will not feel lonely or homesick as you will have someone to speak to in your native language. Before moving to Los Angeles from abroad, you will need a valid visa and passport since you will not be able to enter the United States. There are several types of visas that you can apply for and here is a simple run down. However, if you wish to know more, it would be best for you to check with the American embassy in your home country or on the government website. The most important thing is the living costs as well as job and house hunting. You will need a little bit bigger sum of money if you want to rent on your own. If you wish to save money, you have the option of renting with a roommate and splitting the bill. It might not seem ideal, but it is the best option until you settle in. Additionally, the cost of renting varies in different areas of Los Angeles. While trying to find a suitable house, you should pay close attention to the location. If you cannot afford the car at the moment, try finding a home close to your work since public transportation is not the safe choice in Los Angeles. However, if you do own a car, look for a house that offers parking service as it can be quite difficult to find parking space. Los Angeles is an urban city with many different jobs’ opportunities. The most famous is, of course, the entertainment industry, but others are not far behind. One thing you do have to keep in mind if you already do not have a job waiting for you is that the competition is fierce. It comes as no surprise considering the huge number of people that live in Los Angeles. This should not discourage you from moving to Los Angeles. After all the planning and research, it is time to prepare for moving to Los Angeles from abroad. It might seem a little bit frightening but here are some tips to help you. if you follow them, you will not have any major problems. First, make a list. It sounds so simple yet it is extremely helpful. Put all the papers that you need to bring, such as visa, passport etc, on one list. Then, all the other things on the other and check them off as you pack them. You should pack in a certain way when you are moving to Los Angeles from abroad. The organization is the key. So pack similar things together in the same box. It is going to be easier to unpack once you move to Los Angeles. Leave or even sell everything that you do not need or what you can easily buy in Lost Angeles. Next, visit your doctor for the medical check-up and ask for any medication that you might need. If you are moving with a pet, then a visit to the vet’s office is next on the list. Your pet needs preparation for the move as well since they will be leaving their home too. Lastly, hire a reliable moving company that will take care of transpiration of your things. Shipping cost varies from country to country. It is best to call and inform yourself about shipping expenses from the moving company itself. Los Angeles is an interesting city with many things to offer, from different jobs, cultures, food, and people. It has Mediterranean weather so you can enjoy numerous beaches all year long. Stay calm during the move. It will help everything go smoothly. Moving to Los Angeles will not be a stressful experience. 0 responses on "Moving to Los Angeles from abroad"